Howard Solomon Peterson was born May 19, 1919, in Bijou Hills, Brule Co., SD, and died November 22, 1998, in Longview, Cowlitz Co., WA, at age 79. Buried in Evergreen Memorial Gardens, Vancouver, Clark Co., WA. He is the son of Earl Victor Peterson of Mansfield, Richland Co., OH, and Edna Maethorne Rogers of Panor, Guthrie Co., IA. Violet Theodora Nelson was born May 9, 1918, in Dixon Twp., Gregory Co., SD, and died July 19, 2007, in Astoria, Clatsop Co., OR, at age 89. Buried in Evergreen Memorial Gardens, Vancouver, Clark Co., WA. She is the daughter of Clarence Cornelius Nelson of Rockford, Winnebago Co., IL, and Edith Christina Larson of Farmington Twp., Waupaca Co., WI. Howard Solomon Peterson and Violet Theodora Nelson were married on March 8, 1941, in Butte, Boyd Co., NE. 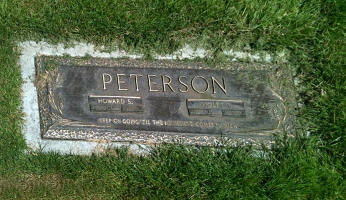 Howard Marion Peterson: Born 1942 in Woodland, Cowlitz Co., WA. Married to Glenda Shuster: Born 1942; Unknown. Kenneth Earl Peterson: Born 1944 in Burke, Gregory Co., SD. Married to Ruth Bonin: Born 1947. Dorothy Edith Peterson: Born 1947 in Burke, Gregory Co., SD. Married to Steven Den Herder: Born 1946. Howard Solomon Peterson and Violet Theodora (Nelson) Peterson are buried in Evergreen Memorial Gardens, Vancouver, Clark Co., WA. Thanks to Billion Graves for making this image available. Violet Theodora Nelson was born May 9, 1918, in Dixon Twp., Gregory Co., SD. Howard Solomon Peterson was born May 19, 1919, in Bijou Hills, Brule Co., SD. The 1920 U. S. Census taken on January 13, 1920, shows Clarence C. Nelson (age 41) born in Illinois to Swedish-born parents is a Farmer owning his farm and is living in Dixon Twp., Gregory Co., SD. Living with him is his wife, Edith C. Nelson (age 36) born in Wisconsin to Swedish-born parents. Living with him are his nine unmarried children, all born to Illinois and Wisconsin-born parents: Myrtle K. Nelson (age 18) born in Illinois, a Rural School Teacher; Hazel M. Nelson (age 17) born in Illinois; Paul E. Nelson (age 14) born in Illinois; Fern E. R. Nelson (age 12) born in South Dakota; Laurel V. Nelson (age 9) born in South Dakota; Walter R. Nelson (age 4-7/12) born in South Dakota; Violet T. Nelson (age 1-7/12) born in South Dakota; and Norman N. Nelson (age 1/12) born in South Dakota. Clarence C. Nelson was the census enumerator. The 1920 U. S. Census taken on January 6, 1920, shows Earl V. Peterson (age 32) born in Ohio to Ohio-born parents is a General Farmer owning his farm with a mortgage and is living in La Roche Twp., Charles Mix Co., SD. Living with him is his wife, Edna M. Peterson (age 32) born in South Dakota to Wisconsin and Pennsylvania-born parents. Also living at home are his four children, all born in South Dakota to Ohio and South Dakota-born parents: Cecil O. Peterson (age 11); Virtus V. Peterson (age 9); Eva I. Peterson (age 7); and Howard S. Peterson (age 8/12). The 1930 U. S. Census taken on April 2, 1930, shows Clarence C. Nelson (age 51) born in Illinois to Swedish-born parents and first married at age 21 is a Farmer owning his own farm and is living in Dixon Twp., Gregory Co., SD. Living with him is his wife Edith C. Nelson (age 36) born in Wisconsin to Swedish-born parents and first married at age 17. Living with him are his six unmarried children, all born in South Dakota to Illinois and Wisconsin-born parents: Fern E. R. Nelson (age 22), a Rural School Teacher; Olive S. Nelson (age 20), a Rural School Teacher; Laurel V. Nelson (age 18); Walter R. Nelson (age 14); Violet T. Nelson (age 11); and Norman N. Nelson (age 10). Clarence C. Nelson was the census enumerator. The 1930 U. S. Census taken on April 10, 1930, shows Earl V. Peterson (age 42) born in Ohio to Ohio-born parents and first married at age 19 is a General Farmer owning his farm and is living in Turneye Twp., Gregory Co., SD. Living with him is his wife, Edna M. Peterson (age 42) born in South Dakota to Pennsylvania-born parents and first married at age 19. Also living there are his six unmarried children, all born in South Dakota to Ohio and South Dakota-born parents: Virtus B. Peterson (age 18), a General Farm Farm Laborer; Eva I. Peterson (age 16); Howard S. Peterson (age 10); Steven M. Peterson (age 8); Calvin C. Peterson (age 6); and Alpha R. Peterson (age 3-9/12). Also living there is his widowed mother, Samantha J. Peterson (age 68) born in Ohio to Ohio-born parents. Also living there is an unmarried Public School Teacher. The 1940 U. S. Census taken on April 10, 1940, shows Edyth C. Nelson (age 57) born in Wisconsin, and 5 years ago was living in Dixon, Gregory Co., SD, and with 8 years of School, is a married Head of Household who owns her home worth $800 and is living on Hampton Road, 3rd Ward, City of Hot Springs, Fall River Co., SD. Living with her are: her unmarried daughter, Violet T. Nelson (age 22) born in South Dakota, and 5 years ago was living in Dixon, Gregory Co., SD, and with 4 years of High School, who does Housework in a Private Home; and her unmarried son, Norman N. Nelson (age 20) born in South Dakota, and 5 years ago was living in Dixon, Gregory Co., SD, and with 4 years of High School, a W. P. M. Laborer. Howard Solomon Peterson and Violet Theodora Nelson, possibly from their wedding picture. Seaview, Wash. Former Clark County resident Howard S. Peterson, 79, died Sunday, Nov. 22, 1998, in Longview. An auctioneer, Mr. Peterson owned a second-hand store in Ilwaco and Seaview. Survivors include his wife of 57 years, Violet T., at home; one daughter, Dorothy E. DenHerder of Sitka, Alaska; two sons, Howard M. of Skamokawa and Kenneth E. of Everett; one brother, Steve of Rapid City, S.D. ; one sister, Alpha Graves of Long Beach, Wash.; 10 grandchildren; and four great-grandchildren. 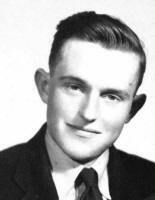 Mr. Peterson, born May 4, 1919, in Bijou Hills, S.D., lived in Washougal from 1951 to 1971. He then moved to Pacific County. He enjoyed hunting and gardening. The casket will be open from 5 to 9 tonight at Memorial Gardens Funeral Chapel. A funeral will begin at 10 a.m. Wednesday at Evergreen Staples Funeral Chapel. A burial service will be in Evergreen Memorial Gardens Cemetery. Memorial Gardens Funeral Chapel is in charge of arrangements. Memorial contributions may be made to the Ilwaco PACE Center. Violet Theodora (Nelson) Peterson died July 19, 2007, in Astoria, Clatsop Co., OR, at age 89. Violet Peterson passed away peacefully at her retirement home in Astoria, OR, Thursday, July 19, 2007. She was born May 9, 1918, in Elmgrove, SD. Violet's three children were at her bedside. 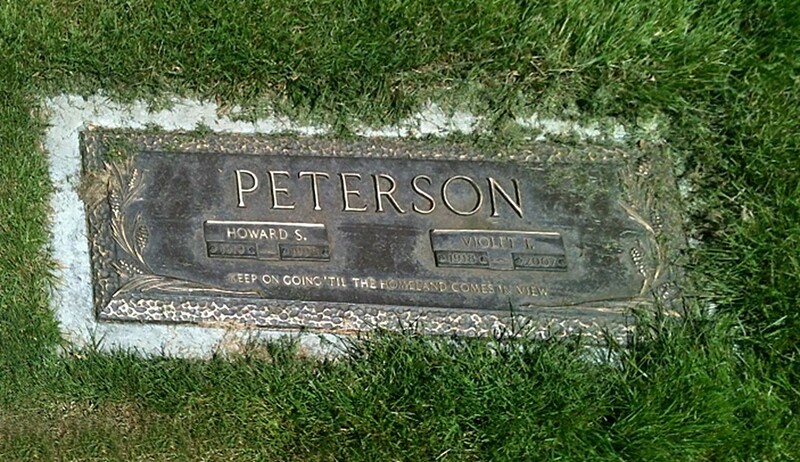 She was preceded in death by her husband of 57 years, Howard S. Peterson. 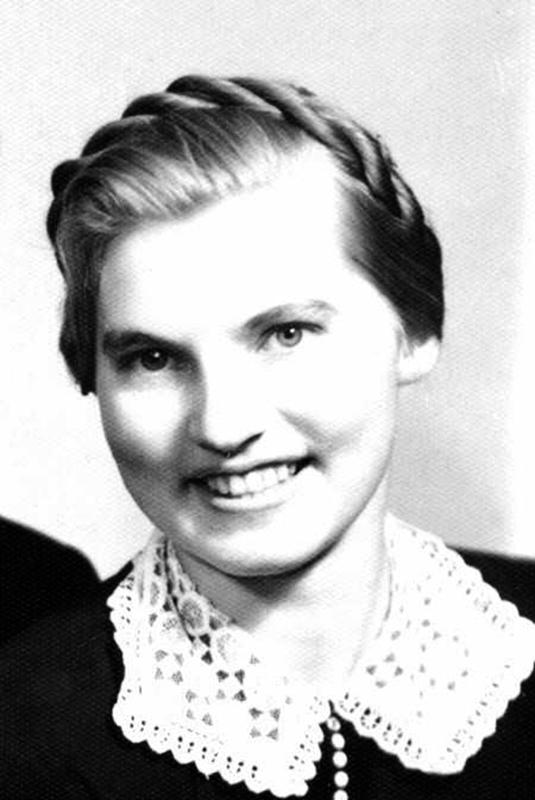 One of nine children, Violet left three surviving sisters: Fern Peterson (99), Oliver Dirks (97) and Laurel Nelson (95). Violet's children are: Howard M. Peterson of Seaview, WA, Ken Peterson and his wife, Ruthie, of Everett, WA, and Dorothy Den Herder and her husband, Steve, of Sitka, AK. Violet had ten grandchildren, along with a host of family and friends. The beautiful ocean beaches and the birds were just part of Violet's many delights. When she was able, she loved to cook and serve others. Her unselfish spirit brought joy to all who knew her. Her smile and laughter will be greatly missed. A service was held.